Well, more like summer-time RAGE. Why are jobs hard to come by? All the good ones are gone by the time you get there. Ah well. To stem this summer boredom, I’ve taken to watching some neeeeeeeeeeew anime. 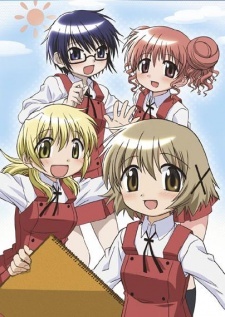 Hidamari Sketch centers around a young girl named Yuno who finally is able to get accepted into Yamabuki Art High School, which she has longed for. To attend the school, Yuno moves and starts to live in a small apartment building named the Hidamari Apartments (Ã£ÂÂ²Ã£ÂÂ Ã£ÂÂ¾Ã£â€šÅ Ã¨ÂËœ, Hidamari-sÃ…Â) located near the school. Once there, she starts making new friends like her classmate Miyako and the second year students, Hiro and Sae. There is no real plot line to the story but rather the events of the characters’ everyday lives are shown as they attend the school together and get to know each other better. Pretty Cool Anime, About art, although the first series doesn’t have much art in it. Set in a world similar to Earth in the mid twentieth century, Strike Witches tells the story of a fight to protect that world using a combination of magic and technology. 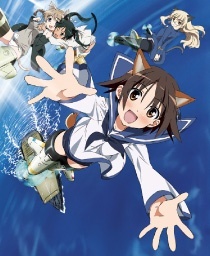 The titular Strike Witches, a group of young women with high magical potential, have been gathered together from various nations in a task force to fight against the enigmatic Neuroi. This puzzling enemy force has appeared frequently and without warning in many areas across the world. The opening song is very good, although some questions remain about the way they fly…. and why do they have fox (?) ears?